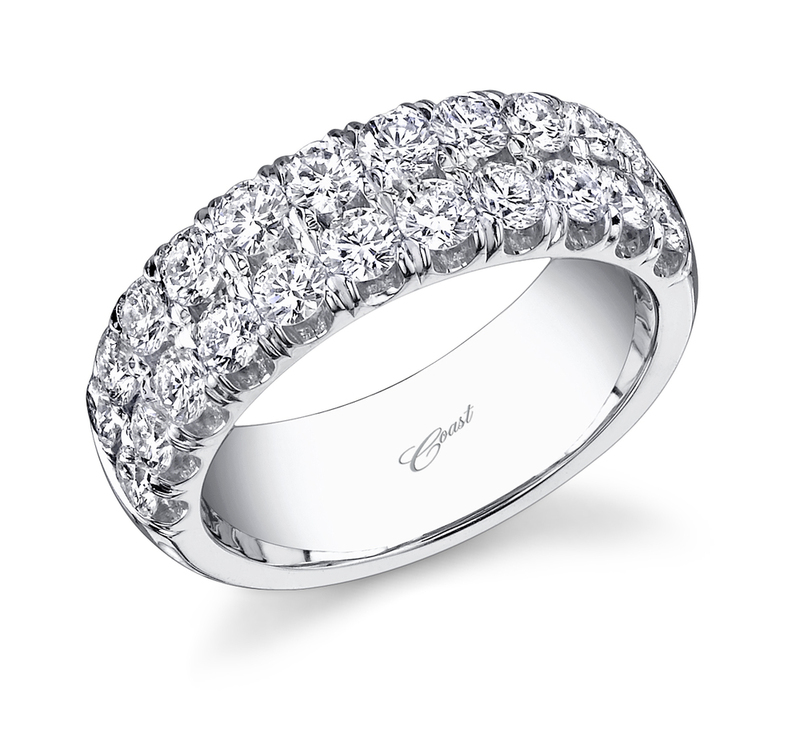 At Charland's we have over 250 different designs of diamond wedding bands. 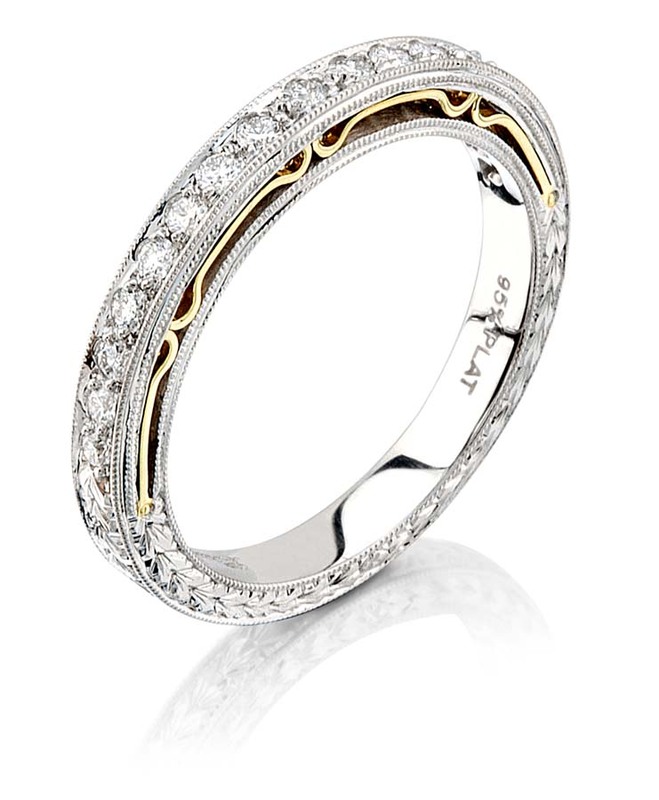 We have curved bands, insert rings, wraps, custom and traditional wedding bands in stock to choose . 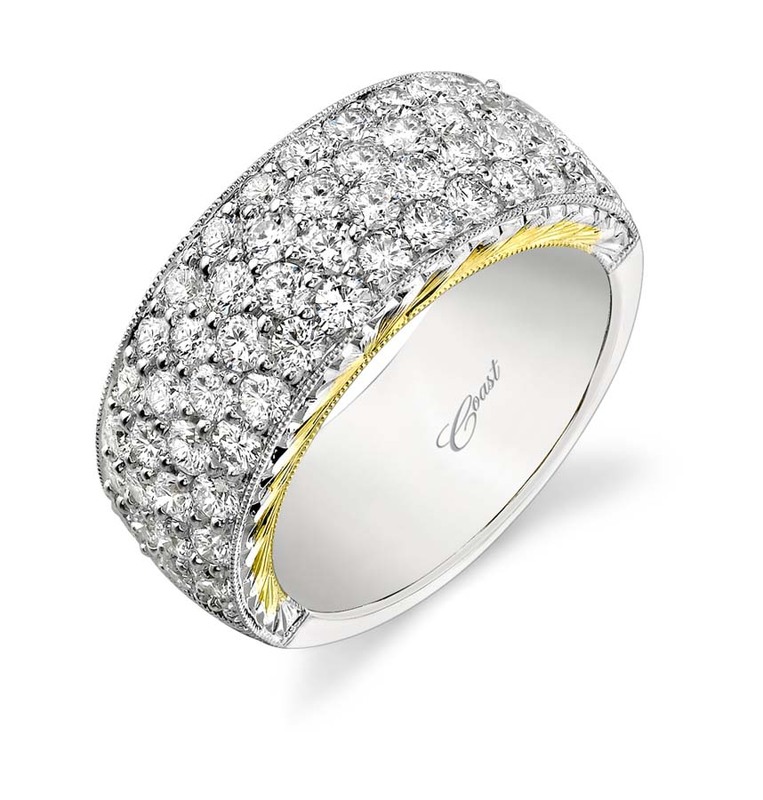 If you have a particularly challenging ring to match we can make one custom just for you.